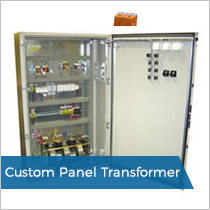 It’s important to find a control panel transformer manufacturer you can trust. R Baker (Electrical) Ltd are a leading UK single phase transformer manufacturer with a full range of bespoke design, build and repair services all in-house. We have a commitment to drive innovation through design and quality standards. We manufacture control panel transformers for use across different industry sectors. Regardless of your transformer requirements, our team can offer the best design and technical advice in the UK. We are an independent UK transformer company offering world class transformer services, therefore we can be on hand to assist you with design through to final testing. Our control panel transformer team can help to design and reverse engineer transformers to your needs. R Baker (Electrical) Ltd provide full, turnkey transformer rewind solutions. We have over 34 years of experience in rewinding and repairing transformers. Not only can we rewind transformers, we can also reverse engineer damaged control panel transformers. Therefore we can manufacture new transformers which are past being rewound. Our panel transformer team is one of the leading technical teams in the UK. We value our customers and try to build long-lasting relationships based on trust and value. We are available 7 days a week; providing you with peace of mind that we are ready for critical breakdown situations. To read more about our transformer rewind and repair service click here. 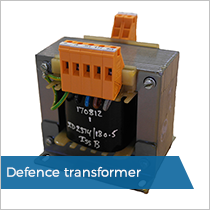 Our client required us to design and manufacture two open style transformers to meet precise tolerances and to be used within defence application. These items where to used within a weapons systems panel and required on a monthly basis to meet customer demands. Our client was moving premises and building new control systems for their new testing facilities. Our electrical team worked closely with them to offer advice in regards to design and manufacturing of the new control panels and transformers which would be housed in them. 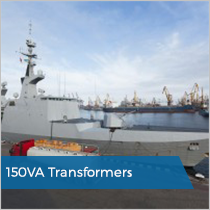 We were tasked by a Babcock Marine to design control transformers in accordance with EN61558-2-2 and to meet defence application. Using our in-house transformer design software we were able to offer a range of solutions for our client to use within their design scope.